We are excited to invite you to a gathering of women here in Glen Burnie for one full day of worship and fellowship together! 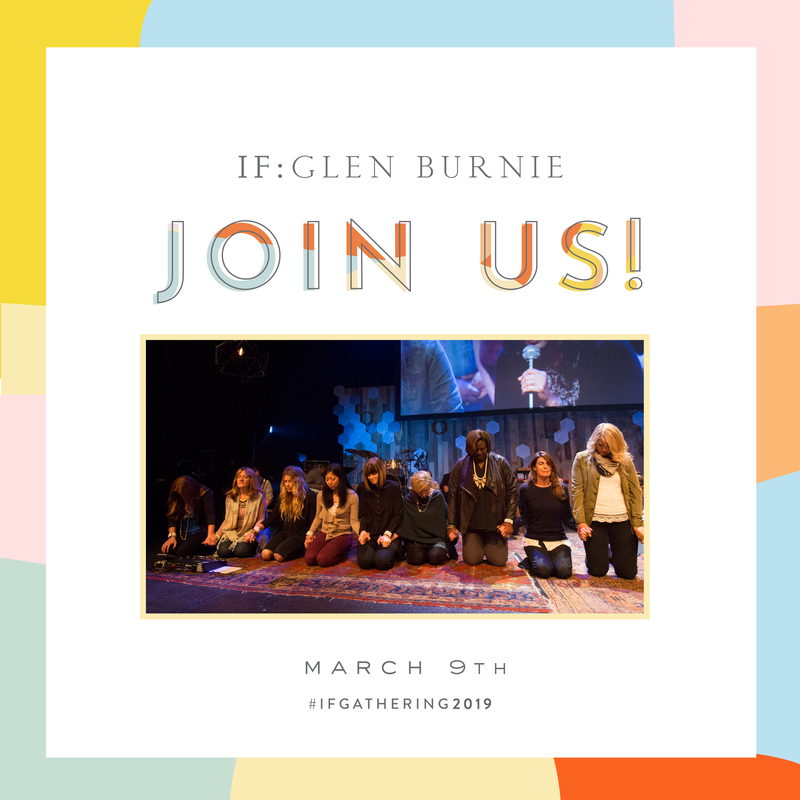 We’re hosting IF:Glen Burnie on March 9, 2019 featuring IF:Gathering 2019. Together, along with thousands of women around the world, we’re going to learn what it means to rely on the wisdom of God and not rely on our own understanding. Here are the details: When: Saturday, March 9, 2019 Doors Open: 9:30 AM Event Start: 10 AM Event End: 4 PM Where: Arundel Christian Church, 710 Aquahart Road, Glen Burnie, MD 21061 How much: FREE to attend, (optional $10 cost for boxed lunch) Lunch: Bring your own lunch – Box lunch availability now CLOSED. Last year, more than 2,600 IF:Locals participated which resulted in an estimated 850,000 viewers representing 104 different countries. Incredible! We get to be apart as we worship God together and discover what it looks like to lean on His wisdom and not our own. Join us! We are excited to invite you to a gathering of women here in Glen Burnie for one full day of worship and fellowship together! We’re hosting IF:Glen Burnie on March 9, 2019 featuring IF:Gathering 2019. Together, along with thousands of women around the world, we’re going to learn what it means to rely on the wisdom of God and not rely on our own understanding. Lunch: Bring your own lunch – Box lunch availability now CLOSED.